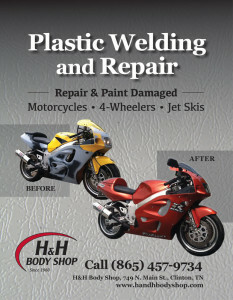 H&H Body Shop Is Proud To Announce Plastic Welding And Repair! 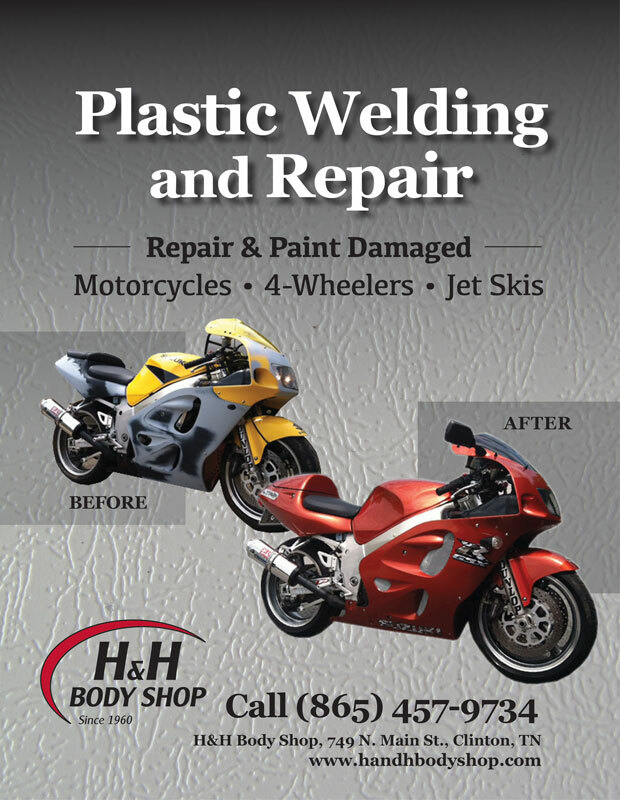 Call us today for a quote to repair or paint your motorcycle, 4-wheeler, and jet ski. This entry was posted in Collision Repair by admin. Bookmark the permalink.